Tommy “the Bomber” Bonacci founded Bomber Eyewear back in 1997. The five-time World Champion Jet Ski Racer made his first pair of floating sunglasses from torn off pieces of foam padding from jet skis. Now, our family-run company uses this patented foam lining technology to offer water sports enthusiasts, fishermen and everyone in between eyewear that is comfortable, durable, stylish and able to float. Bomber Eyewear Europe is the cross Europe agent for Bomber Eyewear Inc.
We provide the fastest and cheapest possible shipping to your country. If any doubts about our services and offerings, please feel free to contact us. We accept all major payment cards. Missing something - write us a mail. 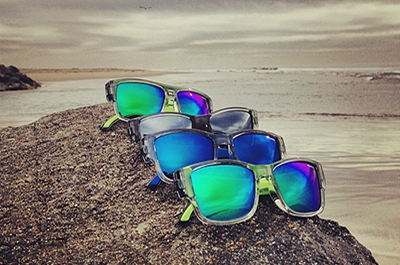 Bomber provides superior eyewear for you to live your sport, all day, every day. Please press the button "Accept" to continue.